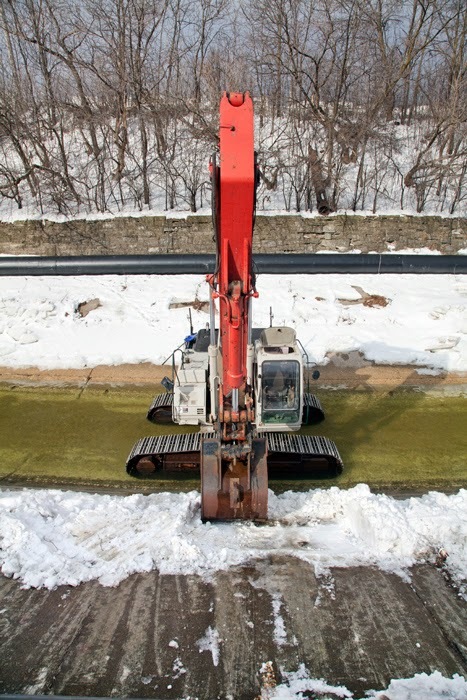 Preparation is underway for the removal of the last section of concrete channel from the Menomonee River. 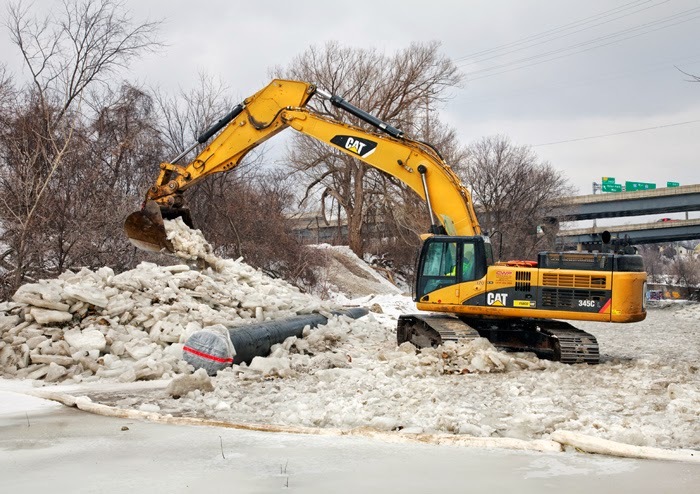 The project area runs from the Wisconsin Avenue viaduct through Piggsville to Miller Park. 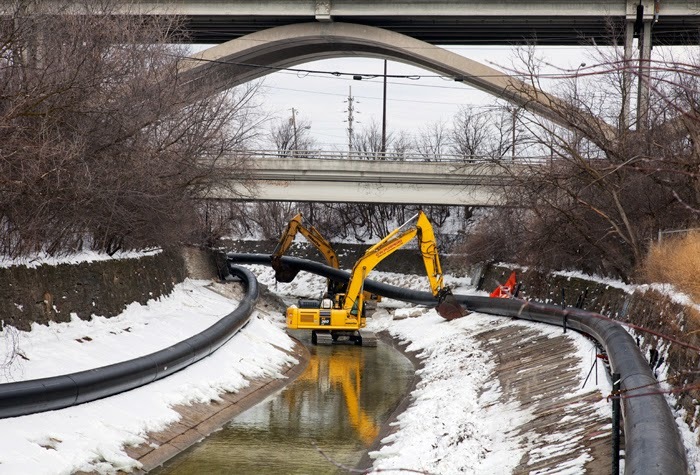 The current work being done is to install two diversion pipes along the sides of the existing channel. 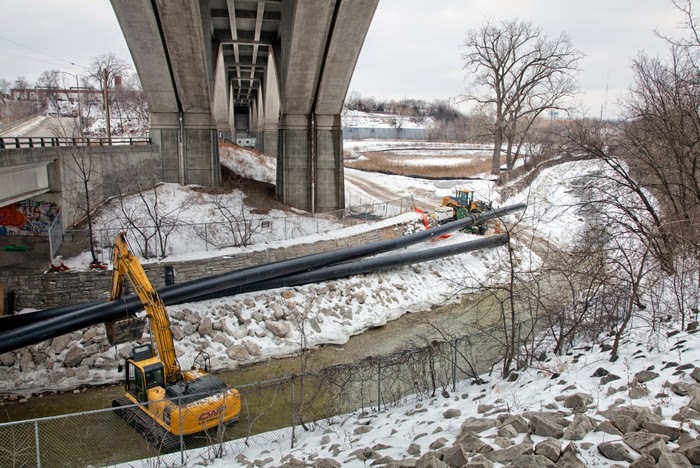 These pipes are intended to carry the flow of water during demolition and reconstruction. 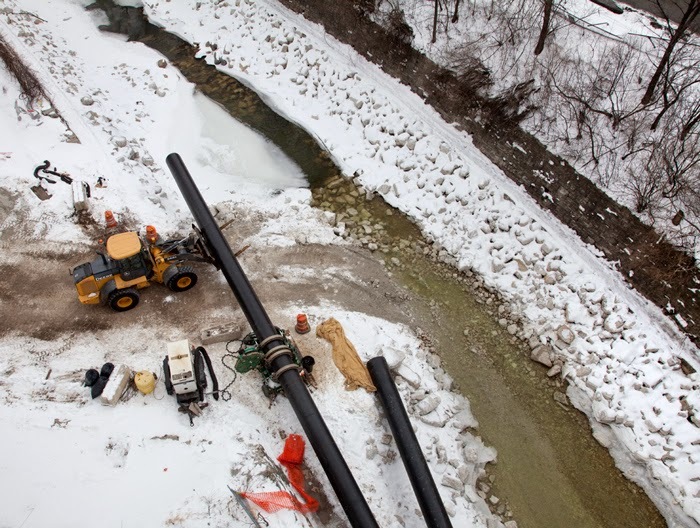 New sections of pipe are attached at the upstream end of the line (above). 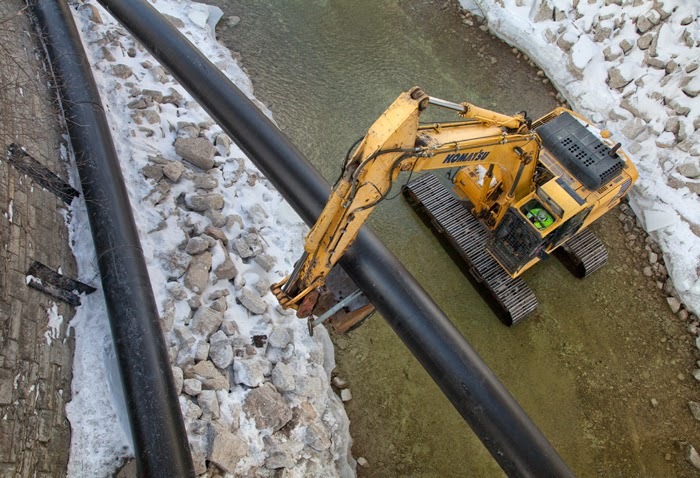 After being welded together, the entire pipe must be dragged downstream by this tractor (below), which can pull the 200,000 lb. load. 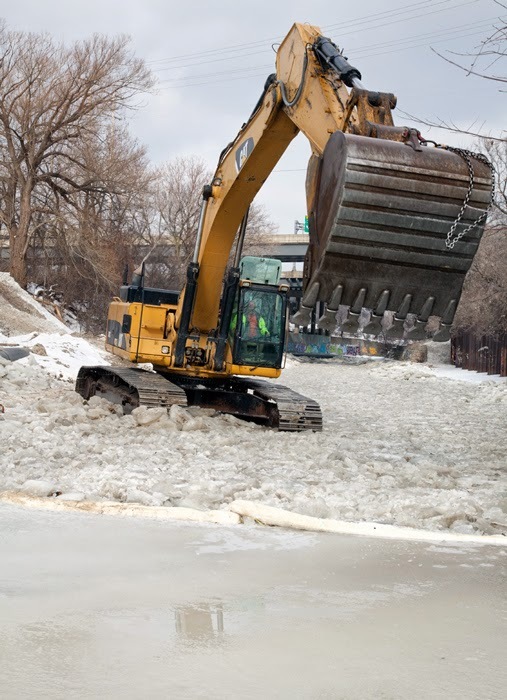 At the downstream end of the line, just past the I-94 overpass, ice is being removed from the channel. 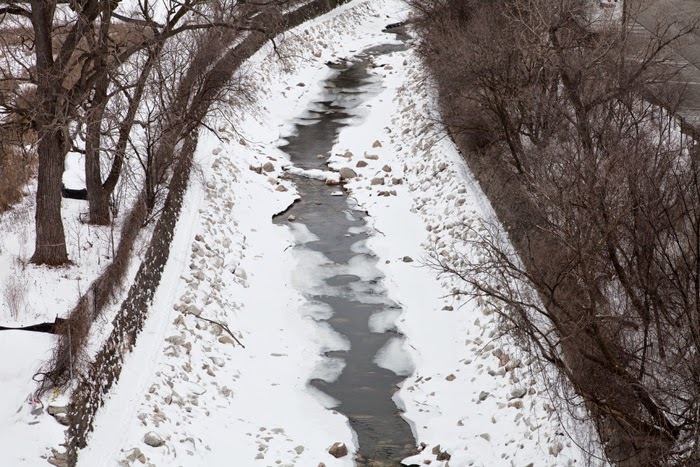 When completed the concrete channel will be replaced with rock, as was done with the previous stretch, which was done in 2013-2014 (below). To see a previous photo essay of that project, click here. 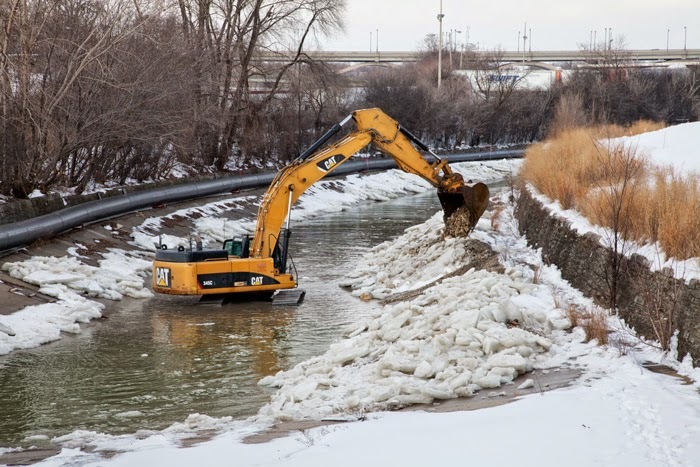 The purpose of the channel reconstruction is to remove the outdated, ineffective flood control channel, return the river to a more natural state and enable fish to migrate freely. To read more about this project, go to the MMSD website.